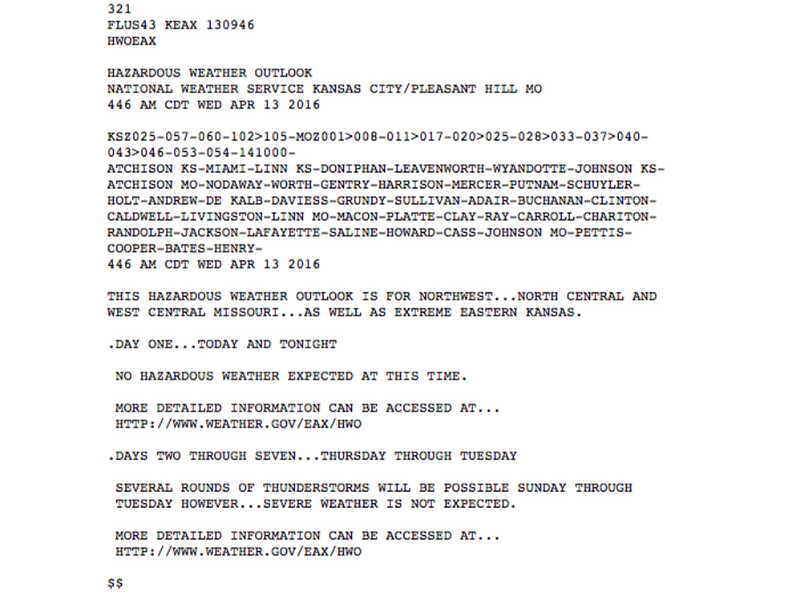 If you've ever seen a forecast straight from the National Weather Service, it can be a little overwhelming with their use of all caps. This is a simple forecast without much to talk about, but glancing at a long-winded or complex forecast can be a little overwhelming. Beginning May 11, the National Weather Service forecast discussions, public information statements, and regional weather summaries will be in uppercase and lowercase letters. Severe weather warnings will transition later in the summer and other forecast and warning products will make the change through the new year. This change is coming thanks to a software upgrade. The all caps was actually a throwback to when weather reports were sent over teleprinters, which could only use upper case letters. The National Weather Service has been trying to make this change since the 1990s when internet and email were becoming more widespread. It just took the next 20 years for users of Weather Service products to phase out old equipment. Since the National Weather Service has given the required 30-day notice of the change, there should be a little less shouting on the internet beginning that second week in May.